I know the feeling, wanting to get out of the monotonous routine, get out from the cubicle, and get away from your boring boss that has been working for the firm for 30 years. I’ve been there and I am seeing more and more that many engineers get that same itch. That need to use the other half of your brain, to engage that creative nature that has been suppressed. The desire to act on a vision, build with your hands, mix it up, do what feels natural and control your own destiny. now go solve it monkey. My good buddy Pat began working in Silicon Valley with his B.S. in Mechanical Engineering as a Sales Engineer for the company that makes processor testing equipment. Within five years he had the have that change, left his job, sold all of his possessions and went to Alaska for a year. My buddy Mike designed radio antennas on vehicles in the Midwest for years before ditching it all to come out to Lake Tahoe and become a message therapist. I worked for HDR Engineering, and Domenichelli & Associates on Wastewater Treatment, Reservoir Design, Hydrology and Hydraulics; today I am working on business plans for independent movie theaters, adventure voluntourism projects, local business investment funds, and most importantly a new type of entrepreneurship competition. 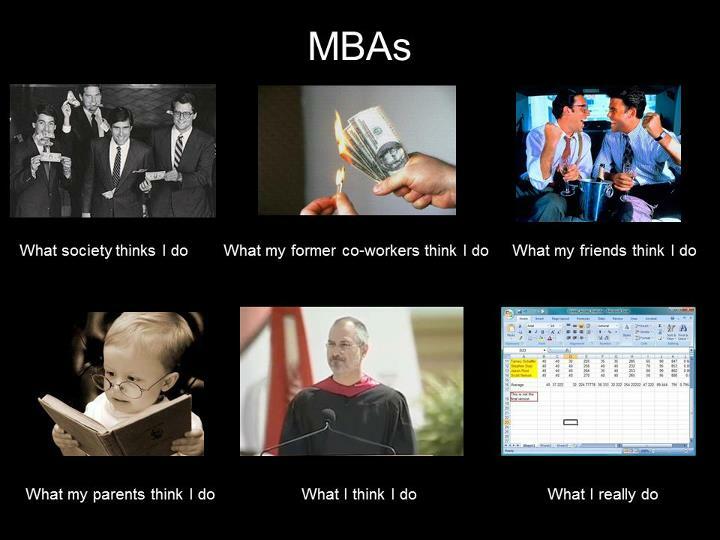 But is the MBA the answer? Or is it just another, “do what you’re told, and I’ll give you what you want,” in this case a passing grade. I have serious concern for those engineering undergrads who want to become entrepreneurs because doing what you’re told is not an entrepreneur. Many important business tenets (that you may not experience otherwise) can definitely be learned through and MBA (such as time value of money, basic accounting, and how to work effectively in teams to accomplish a goal) but much of the same must be learned when you’re in the fire of a startup business. I would argue that you are no more ready to be an entrepreneur as an engineer with and MBA than you were as an engineer without an MBA. Equally, you’re no more ready to be an entrepreneur because you have an advanced engineering degree. An inventive mind is an inventive mind and an entrepreneurial mindset is an entrepreneurial mindset. These are quite separate from how you learn the tools necessary to craft the solution you invent. Many learn what they need on the street while other learn more effectively in an academic setting. An MBA is the most interdisciplinary advanced degree so, in some senses, that parallels the the breadth of understanding one needs to thrive in a startup. Of course, an MBA helps fill the toolbox of the professional manager, tools that most startups don’t really need in their early days but become more useful as a business scales. What matters is the ability to discover what you need to know and the ability to learn it, however best suits your circumstances and ambitions. Agreed and points well taken. One question I am hoping to answer for the audience is; can an engineer naturally have an entrepreneurial mindset without formal business education? Yes. My inkling is that if you are asking this question, you may not have the drive to make it with or without a formal business education. Is there any substitute for jumping into the fire and learning firsthand? If you can think critically, mind common-sense and execute effectively with steadfast determination an MBA may or may not be worth your while with the important point being that you make no excuses (permission granted) and have the determination to see it through. Thank you for a great comment John!